Did you know 75 percent of Americans are chronically dehydrated, according to a recent survey? The everyday rigors of life can make us forget sometimes that water is essential to its optimum functionality. One thing about dehydration is, your body and mind feel it before you may become conscious enough to get yourself a drink — especially if you’re busy doing other things. Here are some of the signs that you MAY be dehydrated. 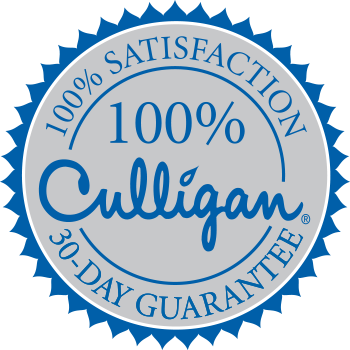 Grab an ice cold glass of Culligan water from before it’s too late! If you feel lightheaded or dizzy, you may be experiencing a decreased blood flow in H2O. Dehydration can make you dizzy, and the loss of even 1 to 2 percent of your body weight can cause dizziness, according to the American Heart Association. Fatigue and lightheadedness can be associated with mild to substantial exercise, but if this is happening in particular when sedentary, consider getting yourself a glass of water ASAP. Feeling tired in the middle of the day at work? The answer may not be more coffee. It might just be more water. When you exercise, your body not only sweats, it gets rid of precious electrolytes — which are vital to proper muscle and nerve function. For this reason, muscle cramps commonly happen indoors or in warmer months, where your body loses water at a faster rate. When your fluid balance is disrupted, your nerves respond differently. Drink a cold glass of Culligan water before exercise, especially in the hot months. For added benefit, add a little sodium to your diet. Loss of sodium is another factor in determining muscle cramps. Perhaps the most aesthetic way you can tell your body is low on water supply is the color of your urine. The darker, more concentrated your urine is, the more waters your kidneys have withheld to prevent dehydration. Not to state the obvious, but thirst is a sign that your kidneys are telling your brain to tell your mouth “give me water!” As a baseline, take in approximately 3 liters of liquid per day, and more if you’re exercising or hanging out in humid weather. Thirst happens regularly when exercising, but your body also needs liquids after exercise, as well. Your skin knows when your body needs more water, and creates more oils to compensate for this. Water is involved in all aspects of your skin function. Your skin cells, like the others in your body, are made up mostly of water, and it aids in both absorption and secretion. Lack of water in your skin cells is more common in the winter months. Proper hydration also helps your skin keep its elasticity, and avoid the worst case scenario of your skin cracking, which is not pleasing to look at, and can be very painful.